ABOUT HUMAN RESOURCE INNOVATIONS, INC.
HUMAN RESOURCE INNOVATIONS, INC., formed in 1994, is an organization comprised of individuals with practical hands-on experience in the corporate environment. We bring an arsenal of proven, effective human resource and organizational tools to assist our clients in identifying and addressing opportunities for improving staff skills, productivity and profitability. HRI draws on the strengths of its staff to provide a wide range of human resource services tailored to the client’s needs. These services include, but are not limited to, workforce crisis management, compensation studies, employee benefit statements, leadership development, employee assessment for new employee screening and staff development, development of employee policy and procedures, goal setting, team building, and the development or enhancement of hiring processes. We are in the productivity and profitability business. Our primary services entail assisting businesses of all types in enhancing their productivity and profitability by enabling them to put the right person in the right job the first time. We identify the Occupational DNA of your current and future employees. We utilize a system of proven, web-based assessment instruments designed to provide the employer with Detailed and Objective information about applicants that they are considering for employment and about their current employees, enabling management to identify specific training needs and create optimal succession planning. Harold E. Jay, President of Human Resource Innovations, is a graduate of Texas A & M University - Kingsville and holds an MBA in Management and Finance. He has over 39 years experience in private industry, having held executive positions in both finance and administration. His career has included businesses of varied sizes including Fortune 200 companies, specifically Container Corporation of America and Anderson Clayton Company. Senior executive positions held have been Division Controller, Director of Administration and Organization and Chief Financial Officer. He is a Vistage Trusted Advisor with extensive experience working with CEO’s in organizations of varied sizes and industries. 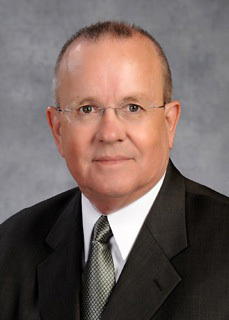 In addition, Hal has served as President of the Board of Trustees in one of the largest school districts in the state of Texas and possesses an in-depth knowledge of, and invaluable insight into, the tax-driven public sector. The staff at HUMAN RESOURCE INNOVATIONS, INC., possesses extensive experience in the field of human resources and general business and are fully qualified to provide invaluable assistance in identifying opportunities for enhancing the profitability, productivity and effectiveness of the client’s organization.